The external visibility of a company is set by its corporate design. The logo, design, pictures and wording all have an effect on how your customer perceives you. And the sound? Whereas in other companies the secretary did the recording for your answering machine, dynamic audio berlin helps you create an acoustic identity. One that fits right your profile. So every caller will get the information he or she needs in a fast and easy manner. Concatenation, IVR, Music on hold… There’s so much out there! Exactly. We are not only talking about having “For Elise” as a background melody on your waiting loop. Telephone-based vocal dialogue system are much more complex. dynamic audio berlins implementations guide the user automatically through bus schedules, event calendars or shopping worlds (we work for Zalando and IKEA…). The system behind this must be accordingly elaborate, multi-layered and set up as a construction kit. …denotes the possibility of an interaction between humans and computers. Where in the past you had to press buttons on your telephone keyboard, these days a speech input is all you need to navigate through the system. It recognises your inquiry and connects you with the right dialogue element. The result: a conversation! …denotes chain-linking. In very complex speeck dialogue system not every module can be recorded separately. Therefore single words and parts of sentences are chained. To have a result that sounds both natural and fluent a lot of experience is needed. …denote the single audio files a vocal dialogue system consists of. For the system to say “two-thousand-fourhundred-nineteen” it need three to four single prompts. dynamic audio berlin does not only keep an organisational overview, but also pays attention to a consistently good quality and tonality. …is needed when a speech dialogue system is supposed to be used in another language. 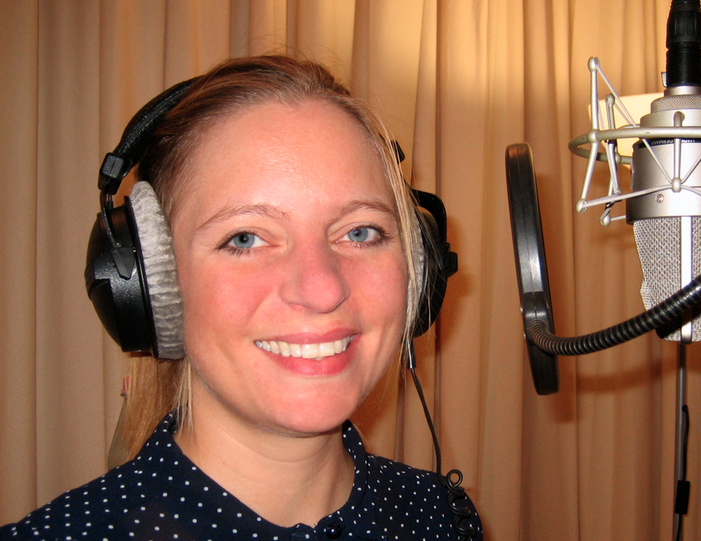 dynamic audio berlin works with a vast number of professional native speakers. This enables us to realise international projects on the highest quality level.